In 2010 Mexican cuisine was added to the Representative List of the Intangible Cultural Heritage of Humanity by UNESCO. Mexico’s delicious food, which is a fusion of Mesoamerican and European cooking, is rooted in the ancient history and colorful culture of this diverse country. Every Christmas, or Navidad, Mexican families spend Christmas Eve, or Nochebuena together, enjoying their favorite traditional foods and drinks. They normally eat at 12am. They next day they get together again for leftovers, or recalentado. Navidad and its traditional dishes are an important part of Mexican life. Here are a few of the essential dishes for a traditional Mexican Christmas. Romeritos is a dish made from the sprigs of a wild plant, seepweed, also known as romerito, which is similar to baby spinach or rosemary. 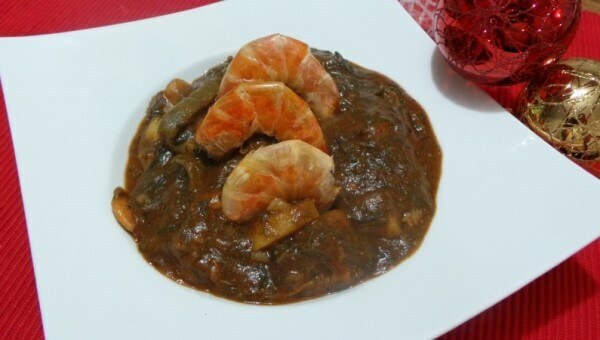 The romeritos are prepared with shrimp and potatoes in mole sauce. 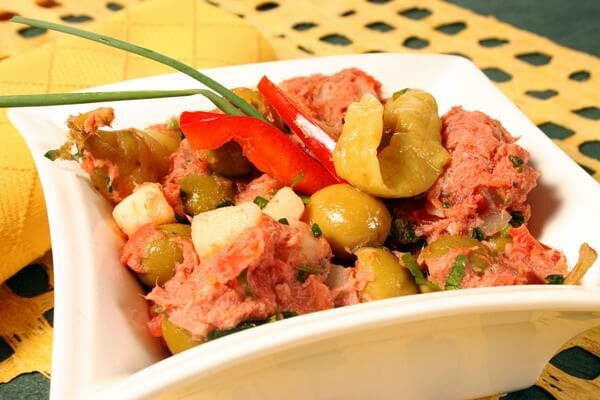 Bacalao is made from salted cod prepared in roasted tomatoes, garlic, onions, olives, parsley, banana peppers and spices. The next day it may be eaten on a baguette (torta). Yum! This dish originated in Spain but Mexico’s version has more ingredients. The name Ensalada Nochebuena translates to Christmas Eve Salad. 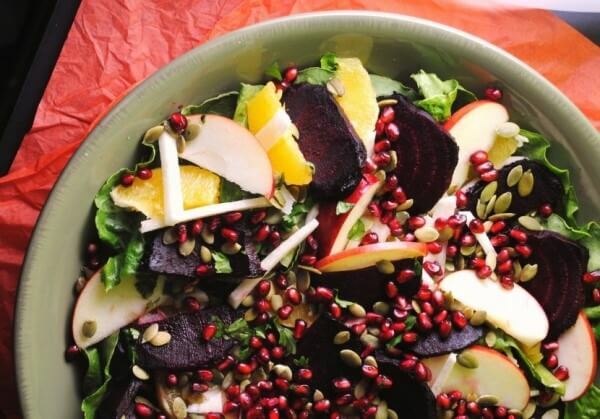 This colorful cold dish is made from beets, apples, oranges, bananas, pineapples, nuts and a sweet dressing. There are many different versions of this holiday salad. 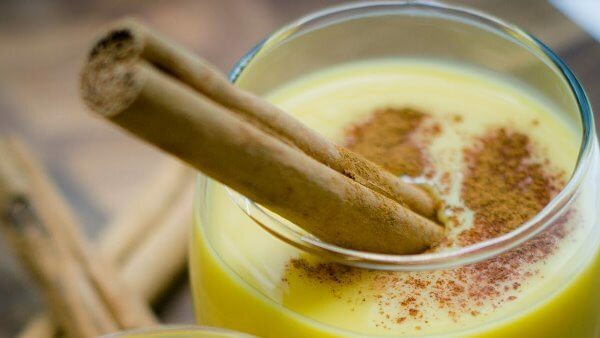 Rompope is a rich, sweet, spicy egg nog like drink made from eggs, milk and vanilla. It can be purchased premade in a bottle or can be made at home. Rum is often added to the mixture. It is thought that the original Mexican rompope was created in Puebla’s Convento de Santa Clara in the early 1600s. Ponche is traditional Mexican Christmas punch. 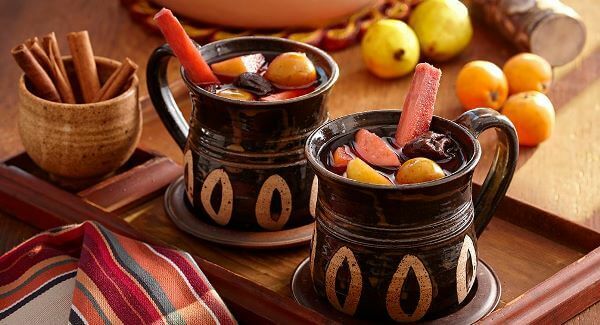 There are many variations of the recipe for this warm drink, but the main ingredients are tejocotes (small, apple-like frui), oranges, guavas, prunes, pears, raisins, walnuts and cinnamon. Brandy or rum is often added to the mixture. Add a Mexican touch to your Christmas party this year with one of these dishes or drinks, or better yet, celebrate Christmas in Mexico at Hacienda Tres Rios!